Fitness Experience > Fitness Tips > Diet breaks and refeeds- The solution to winning with your diet over Christmas? Diet breaks and refeeds- The solution to winning with your diet over Christmas? Christmas is great, but the idea of a Christmas “Diet” doesn’t really spring to mind. It’s a time to catch up with families and friends, relax, reboot, and reflect on the year. But, the January resolution is an issue. It’s the year-long equivalent of “I’ll start Monday”. It gives you an excuse to hold off on your diet, and by the time November comes around, most people are already thinking of waiting until the New Year. It’s obvious- the idea of a diet over the Christmas period is dreadful. It almost feels like you’re missing out on Christmas, and for those who are looking forward to this family time, that’s not an option. 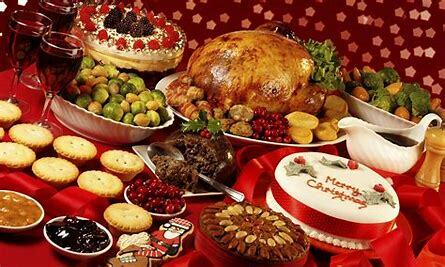 But do you really need to waste this time and write off your diet to enjoy Christmas? If only there was a solution…. Luckily for you, diet break and refeeds may be perfect to keep you on track at this time! Quick Recap- why do diets work. 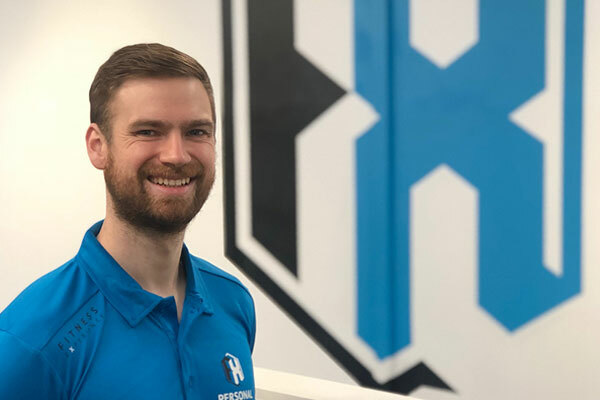 I’ve discussed this recently in various workshops, blogs and videos (take a look at our recent post on the rules of fat loss here). I’ve also discussed ways of sticking to a conventional diet over Christmas in the previous post (yep- find that here). You should ensure your diet is adequate in protein and make up the rest of the target calories from carbs and fats. Alcohol won’t have a benefit for fat loss. It will only work if you can stick to it! Nowhere on the above list does it say you should go Paleo/ Atkins/ low fat/ or any other specific diet type. Nor does it suggest that you can’t cycle calories to an extent. When it comes to optimising your training and diet over Christmas, remember, sticking to it is the most important factor (providing your diet isn’t made up of guesswork)- so don’t set yourself up for failure. I’ve heard of this- cheat days! Not exactly. I don’t like cheat days. I don’t even like cheat meals. Well, I like them, but they can be horrendous for fat loss. A cheat meal may boost metabolic rate, but unless this is by more than the amount of calories used to get the difference, it won’t positively impact fat loss. And with regards to hunger, yes you may have an increase in leptin (a big control hormone for hunger), but whether this will have more than a very short-term impact is unclear. But there’s a massive problem here. Although the above are focused on the “not doing any damage”, the fact is, cheat meals can damage fat loss. A lot. It can become a cheat day, not a cheat meal, which could easily turn your hard work for the week with a 300-calorie deficit per day (- 1800) into a gain week, with a 5000+ calorie day, meaning you’re gaining, not losing. It changes your mindset- there’s a high potential to completely write off the diet and enter a “binge mode”- low motivation, poor training, no tracking. Just generally a complete collapse of your diet. But the idea of higher calorie days isn’t necessarily a bad thing. You just need to have it tracked and view it as a “part of your plan”. Here’s two options of how to make it work. Full disclosure. These methods are workable are part of the plan- meaning they should be tracked and accounted for. The idea of a refeed is simple- it’s a controlled cheat day. Some people feel that it helps with fat loss more than not having a refeed! For now, we will stick with the point that providing total calories are equated over the week, it may be a more sustainable type of diet for the holiday season. The refeed works like this. You simply go a little lower on calories on your “diet days” to allow a little higher on calories on your “refeed days”. Over the week, this can lead to the exact same deficit as a more moderate diet every day, meaning that the weight loss (and done properly, fat loss” should be the same). Generally, put your refeed days on harder training days- 1 per week is often the most appropriate way to implement this for most people. To keep it simple, just increase your carbohydrate levels for the added calories on refeed days- fats can increase slightly, but the benefit is seen mainly from the carbohydrate increase. Refeed days can work for anyone at any time during their diet/ prep, and the exact structure is flexible to allow it to work for you. Over the holiday season, the huge benefit over a regular “constant deficit” diet is that although the low days may be a little more restrictive, the higher calorie days allow for a little more give for meals out, and socialising with friends and family. But remember, tracking as much as possible, and being generally “food smart” and using realistic educated guessing when your out is important to make this successful. Another successful method for the holiday season may be “diet breaks”. A diet break…. Wonder what that is. Well, it’s a break from your diet. These typically can be anything from a few days to a few weeks at a time, but the key point here is that the break should be at a calorie maintenance, still with training, and still with tracking both bodyweight and food intake. Importantly, these are only a break from a CALORIE DEFICIT, not a break from tracking, and not a break from being mindful of your food. You are simply eating to your maintenance, meaning you are not losing, but importantly, you are NOT GAINING WEIGHT during this break. The downside to this is obvious- if you are on a diet break for half of your time, it will take you a lot longer to get to your targets. However, it can be a highly effective strategy to keep you progressing in a manageable way, without moving backwards, and giving yourself more calories to consume whilst staying “on track”. These strategies can be a great way to control your nutrition, but all plans need the right mindset and organisation. Find out more about this by subscribing to my weekly email list, including podcast episodes discussing these topics in more depth, nutrition, fat loss and performance guidance. Receive our FREE FAT LOSS FOR BUSY PEOPLE eBOOK when you subscribe, as well as a surprise gift to help you on your fat loss journey! There is no complete “easy” or “perfect” solution to this- dieting for fat loss is hard regardless of the time of year. That being said, managing your training and nutrition over the Christmas period is essential for anyone looking to make a good start to 2019. Personally, I find the use of refeeds massively helpful to staying on track over this period, but all of the difficulties of tracking, being hungry at times, and mindful eating to macro targets still exist. Dieting is hard, and making it work for you, whilst accepting that it will take sacrifices and organisation is key to success! For any more information on these topics, or to get started with 1-1 coaching, small group sessions or online coaching, simply email josh@fitness-experience.co.uk. Don’t forget to sign up to the email list for your FREE FAT LOSS GUIDE- if you missed it earlier, you can sign up again here.